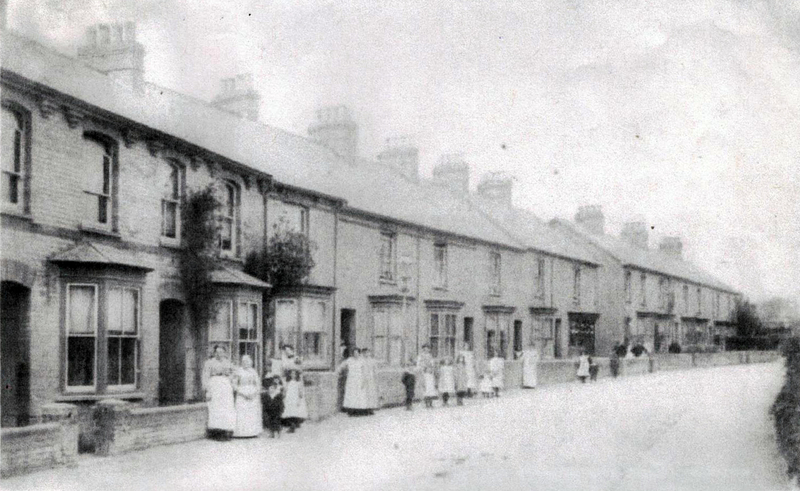 A few years ago a neighbour further down the road gave us a number of pictures and the copy of a 1901 census. In the census Frank Parker (aged 39) was the head of this household and worked as a butcher, with Sara Cottrell (aged 60) the housekeeper. 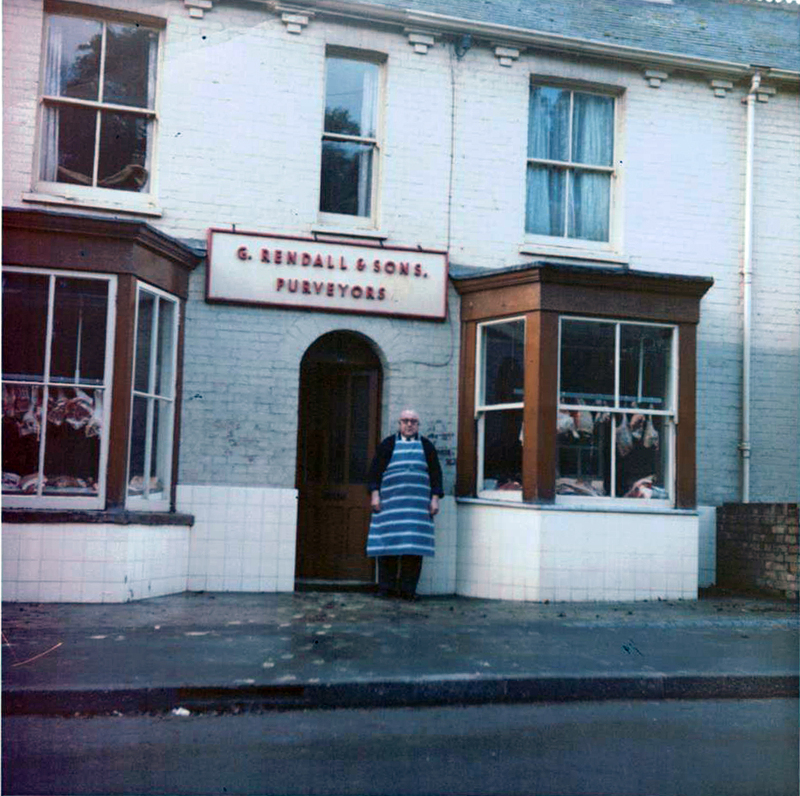 We were aware that the shop was once a butchers - sometimes that's what we blame the smell from the drains on! 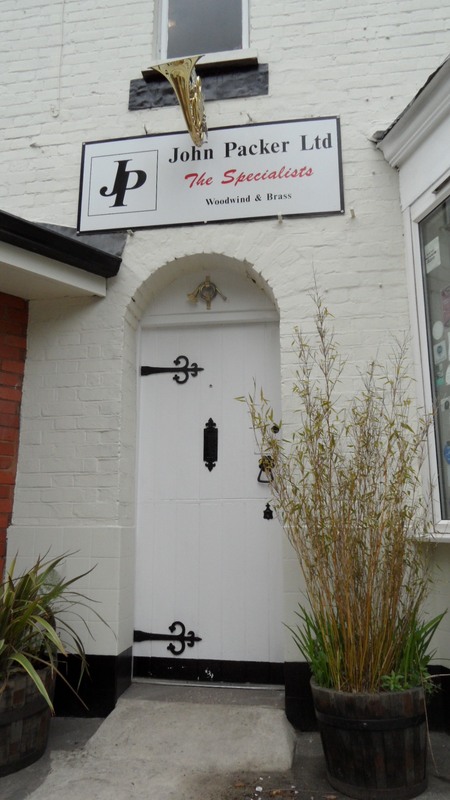 But more recently the shop is more commonly remembered for being a saddlery. The premises was vacant for a period before John Packer acquired it. The upstairs was converted from a flat (complete with rainbow murals in the children's attic bedroom) to office spaces. The living room became a workshop! A couple of years ago there was an unfortunate accident and an elderly man crashed into the side of the shop. Thankfully no-one was hurt, but this led to another change in the layout of the shop - the brass cave was born! If you look carefully you can see that the nearest house on the right sold chocolates! This house now is a hairdressers. 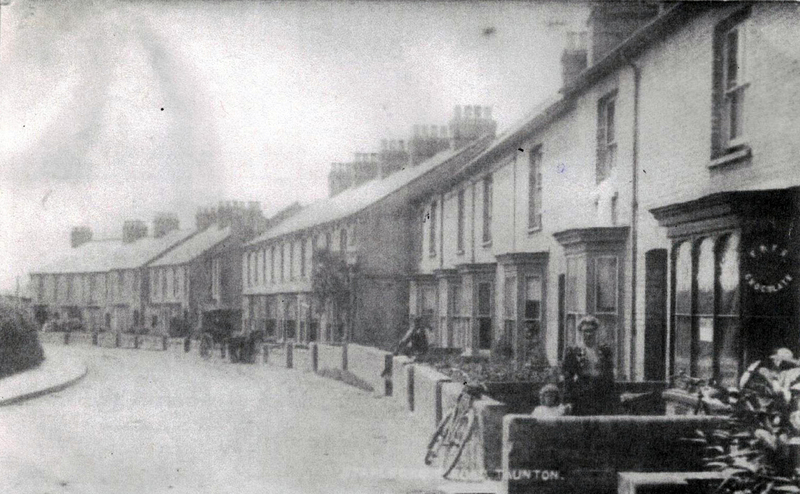 Doesn't the road look wide without modern pavements? 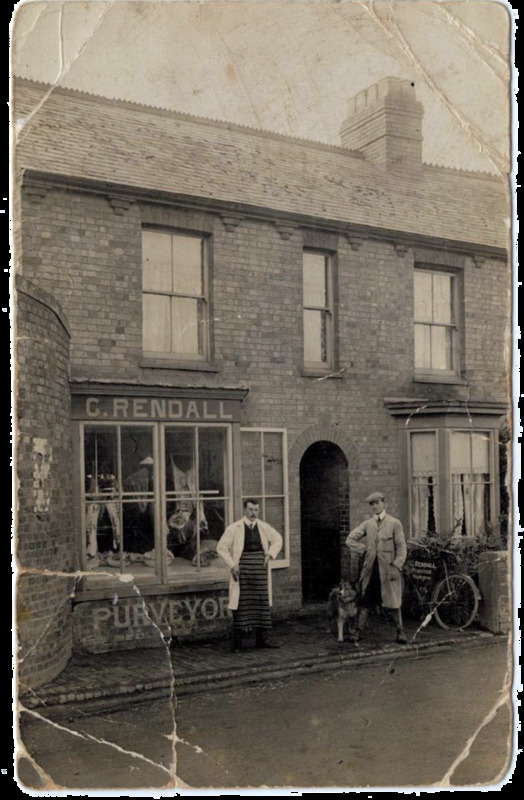 The Rendall family butchers. We wonder if the man below is a son/grandson of the men in the picture above. There's a lovely dog and a bike - looks like this butcher delivered! And here is our final instalment at 141 - the hanging French horn over the front door! Our staff have many memories working here over the the past 16 years but are welcoming a new chapter in the history of John Packer.